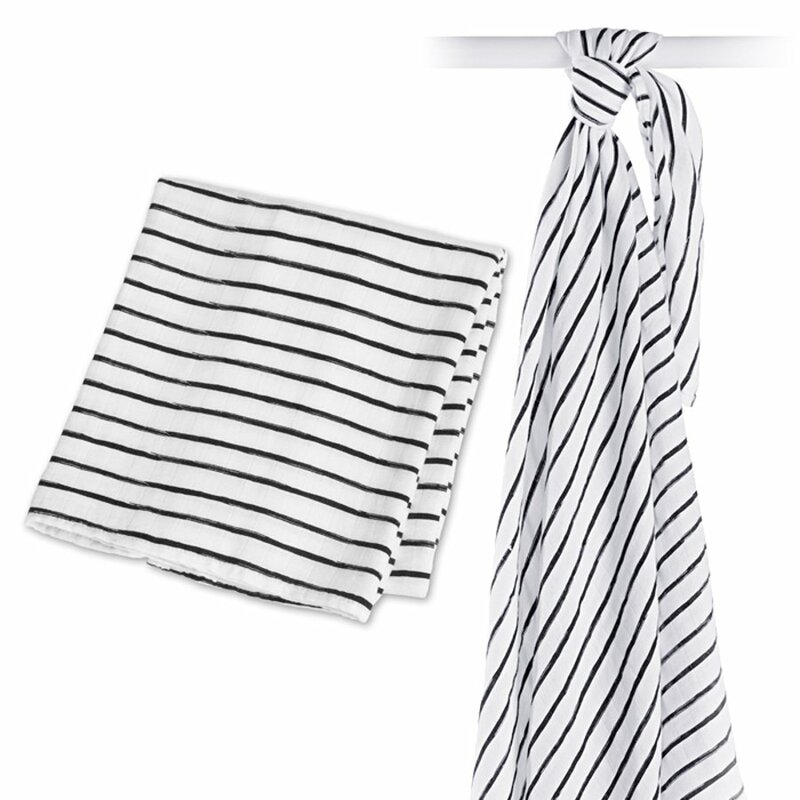 Wrap up your bundle of joy in this stripy muslin swaddle; made with 100% natural materials. This swaddle uses bamboo fibre, which is a great sustainable, eco-friendly alternative to wool or cotton. What’s more, bamboo fibre is luxuriously soft to the touch and gets softer with each wash, so baby will be as comfy as can be wrapped up in this swaddle. This versatile blanket can be used as a handy breastfeeding cover, change pad, crib sheet, or just as a comfort blanket for the baby. 70% rayon derived from bamboo, 30% cotton. 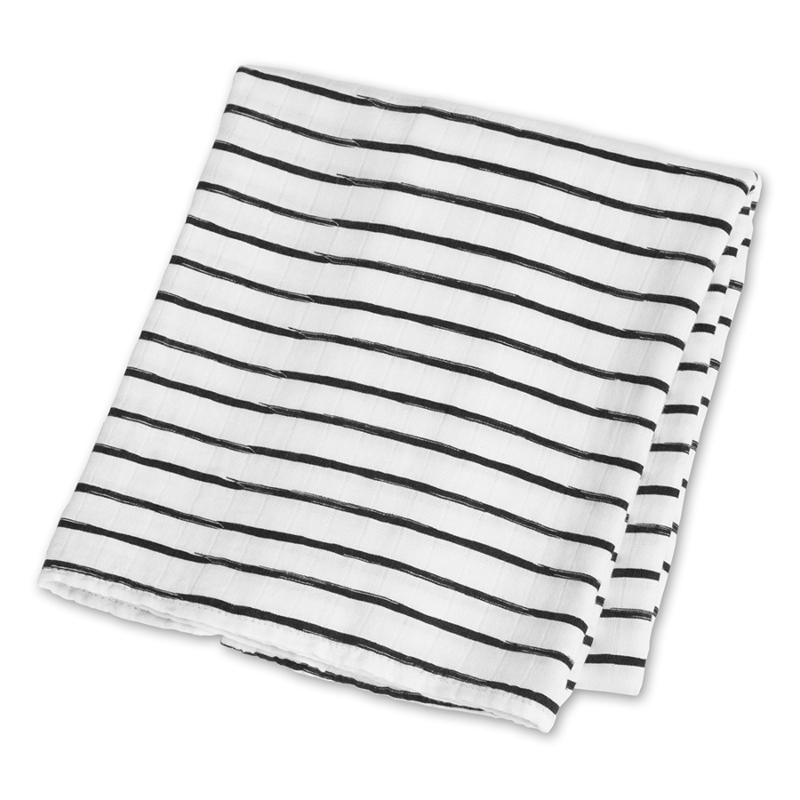 There are currently no questions to display about Lulujo Bamboo Swaddle Blanket - Black Messy Stripes.